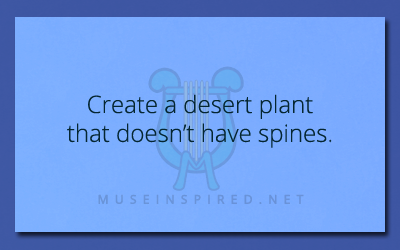 Fabricating Flora – Create a desert plant that doesn’t have spines. Fabricating Flora - Create a fruit that tastes like honey but kills within hours. Fabricating Flora - Create a vine that is humorously similar to a dog's tail.